Ever since Mazda first came to Canada 50 years ago, it has steadily been building a reputation as one of the best and most affordable cars in the country, and customers have been taking note. In 2017, Mazda was one of the top-ten bestselling automotive brands in Canada and as more and more drivers discover just how enjoyable driving a new Mazda can be, sales show no sign of falling off in 2018. For shoppers in the Greater Toronto Area, Yorkdale Dufferin Mazda in Toronto is the best place to look for a Mazda vehicle. With many exciting new and used models, friendly staff, and a long history of providing outstanding service, Yorkdale Dufferin isn’t just one of the best Mazda dealerships in the GTA, it’s one of the best dealerships, period. If you are in the market for a new vehicle, here are just a few reasons why you should consider stopping by our dealership and buying a new Mazda this spring. One of the great strengths of Mazda historically has been its ability to provide attractive options for every shopper. Whether you are looking for a road-trip ready hatchback, a roomy station wagon, or are just looking for a fun and speedy roadster for summer driving, if you check out our cars you are guaranteed to find a vehicle that fits your particular needs. By far the most popular Mazda is the Mazda 3 (one of the best selling cars in Canada), but Mazda is also becoming known for its crossovers, which blend the durability and power of an SUV with the size and agility of a sedan. Vehicles like the CX-3 and CX-5 are increasingly popular choices among customers who want a family SUV that can navigate narrow city streets and cut costs at the pump. When shopping for a new car, price will always be a major concern for most shoppers. 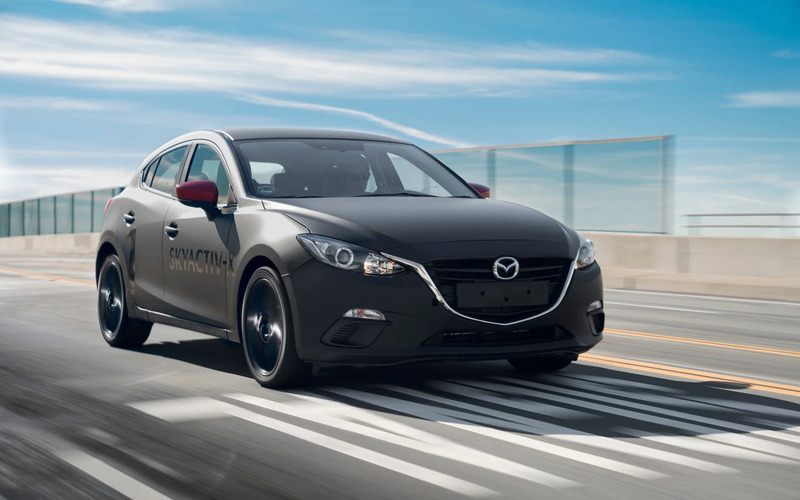 Finding a vehicle that meets your needs while staying within your price range isn’t easy, which is one of the reasons Mazda’s ability to deliver reliable, fun-to-drive cars at competitive price points has proved so popular. If you want to save even more on a new Mazda car, check out our Mazda specials and discover just how easy it can be to find a vehicle that fits your life at a price that works for your wallet. Ever since the first Mazda car rolled off production lines in 1960, it has been committed to the best principles of automotive design. Over half a century later, Mazda is still turning out vehicles that meet the highest performance standards and offer rugged, reliable performance in even the most challenging circumstances. In particular, Mazda vehicles are noted for their agility and easy handling, and shine when driving winding roads or slipping in and out of busy traffic. With the open road beckoning and summer just around the corner, April is the perfect time to go shopping for a new car. Stop by Yorkdale Dufferin Mazda and find out for yourself why, for a growing number of Canadians, the car of choice is a Mazda. By submitting your email address or phone number, you allow us, Yorkdale Dufferin Mazda, to include you on our contact lists to send you information about our products, services and promotions. You may revoke consent at any time by clicking on the "Unsubscribe" link in your email.